This technology is extremely beneficial for creating a three-dimensional view of your mouth, without discomfort or the need to rely on black and white images. With this technology we can better diagnose and treat a wide variety of issues due to comprehensive images. Our dentist, Dr. Gordon, is at the forefront of new dental technology, and provides this advanced imaging to produce high quality images of your teeth, bone, soft tissue, and nerves for more effective care. At our office, we are committed to utilizing advanced dental technology to always provide you with the highest level of dental care. We are proud to utilize cone beam 3D imaging technology at our dental practice. 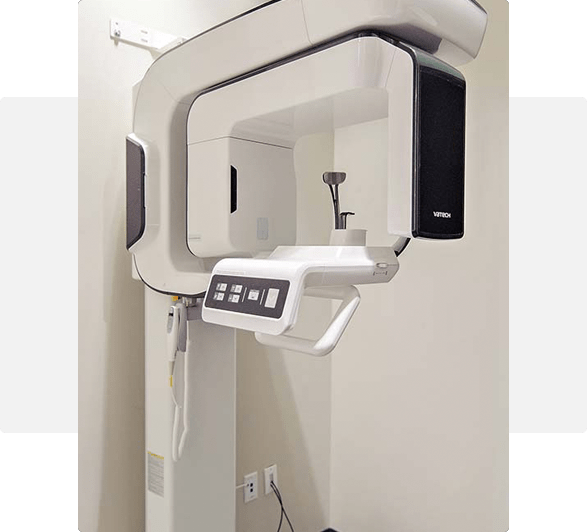 Cone beam 3D technology is an imaging system that provides our dentist and team with a three-dimensional image reconstruction of your teeth, mouth, jaw, neck, ears, nose, and throat. You will feel welcomed, comfortable, cared for, and appreciated at Gordon Dental of Leawood while we provide you with high-end, high-quality dental care in Leawood, Kansas.